I have never been the type for resolutions. There is always something that I can do differently, or be better at, but I shouldn't need a resolution in order to make that happen. I know we are already 1/24 of the way through 2015, but this year I'm going to switch it up. Instead of making useless resolutions, this year I have picked a word to live by. I have seen this idea floating around for a few weeks, and think it is so clever, and much much easier to stick to. This word, although simple and only 5 letters, holds the power to define how I want to live 2015. 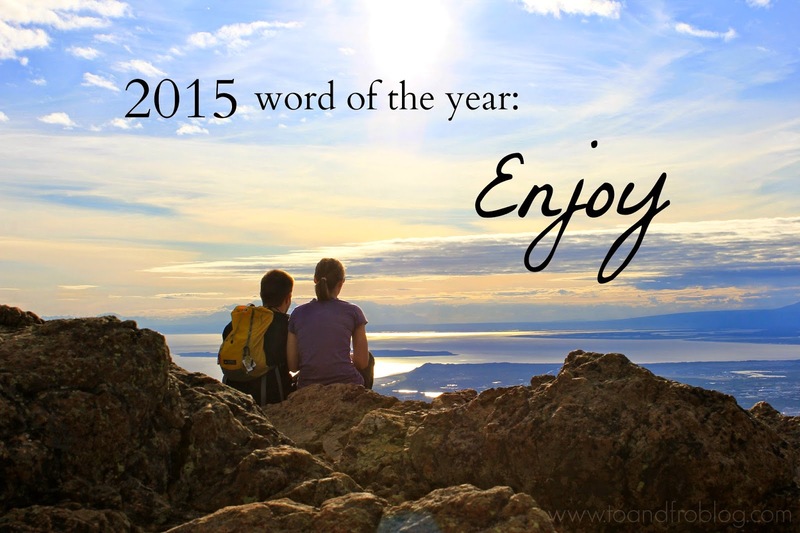 My word for 2015 is ENJOY. enjoy... the small things. enjoy... my surroundings. enjoy... what I have. enjoy... changes to my routine. enjoy... family time. enjoy... new opportunities. enjoy... growing together in marriage. enjoy... the changing seasons. enjoy... weekend escapes. enjoy... me time. enjoy... having an open mind. enjoy... small victories. enjoy... learning something new. enjoy... being kind of strangers. enjoy... kindness from strangers. What is the word that will define your 2015? I'd love to hear! This is a wonderful word! Great Choice! Enjoy is good! I have finally decided on my word: acceptance. I am going to learn to accept things in my life a little more and with a bit more grace. I LOVE the word enjoy for the year. It's perfect.